Hermes is a luxury brand renown for the infamous Birkin bag and big buckled H belts. However not many people know the brand for their fragrances, so let me introduce you to this somewhat new fragrance from Hermes. 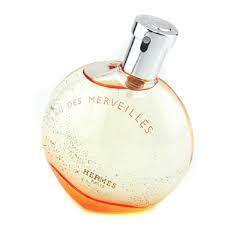 This fragrance has very worm feminine notes, it also has a sweet and seductive aroma, very grown woman sought of scent. It is also very long lasting and does linger on your clothes for a few days. Now I’m a sucker for packaging and I have to say that the bottle of this fragrance is simple but at the same time unique which is tre Hermes! When it comes to perfume I like to think of myself as some kind of expert, so take my word when I say this perfume is the best by far that I have ever bought. I recommend this fragrance to everyone, it is a little pricey, but hey quality comes with a price.